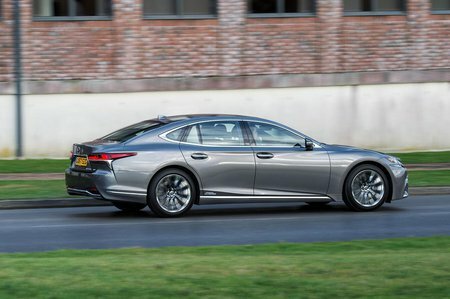 Lexus LS LS Review and Deals 2019 | What Car? This entry-level trim only comes with rear-wheel drive and on standard suspension (air suspension is not even an option). However, you still get plenty of kit for your money, including dual-zone climate control, 20in wheels, leather seats that are electrically adjustable up front, an around-view monitor, automatic emergency braking and a big 12.3in infotainment system with sat-nav.